To become a Sustaining Member with an annual donation of €25 (payable via bank transfer or PayPal), please register with us through our Socyza page. The Foundation will then send you a membership card to the address indicated on the form submitted. The Claudio Ciai Foundation is a non-profit organization registered in Italy under the "Onlus" status (Organizzazione Non Lucrativa di Utilità Sociale). In the E.U., contributions are tax deductible for individuals and corporations up to 10% of income, up to a maximum of 70,000 Euro per year. When filing taxes, you may reference the Claudio Ciai Foundation's Italian non-profit registration code: 94237370484. Our deepest thanks for your help! We will confirm your purchase and expedite your product within one week. 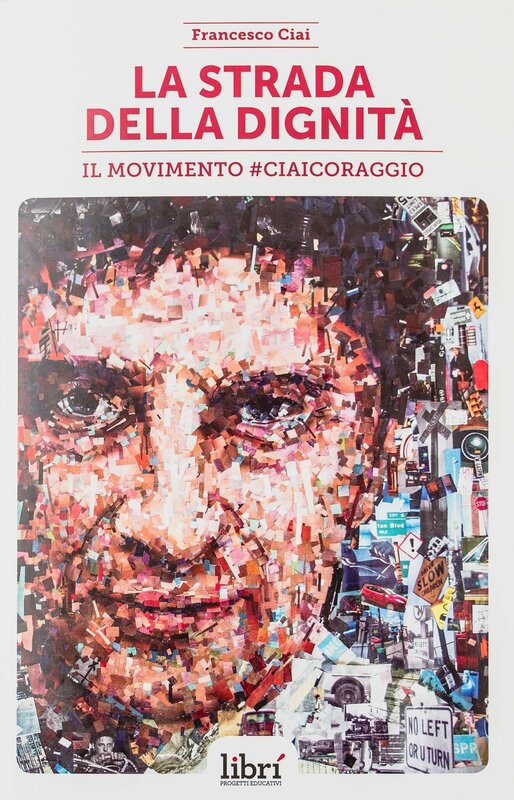 "LA STRADA DELLA DIGNITÀ: IL MOVIMENTO #CIAICORAGGIO"
TO PURCHASE MORE THAN 5 BOOKS OR FOR SHIPPING ABROAD, PLEASE CONTACT US DIRECTLY. A book that shares the story of the challenges faced by a family whose life was turned upside down by a dramatic car accident along with all of the complexities they faced with Italian bureaucracy. Additionally, for the first time in Italy's history, the book offers an easy to consult step-by-step manual outlining the steps families need to take when a loved one remains severely injured and disabled. The book shares all of the victims' rights, and explains how and who to contact in a clear manner. It also shares valuable advice that helps support victim's families and friends in turn saving precious time for the victim's recuperation process. "PACO & CAMELIA: THE VENUS' MYSTERY AND OTHER SECRETS"
AVAILABLE IN ITALIAN & ENGLISH. A magical fiction book intended for children aged six and up that will certainly entertain parents, grandparents and other family members who will read to their little ones. A portion of the proceeds from this book will be donated to support children victims of car accidents via the Claudio Ciai Foundation. Paco is a fun but just a little bit grumpy parrot who lives in Florence, Italy with Camelia, his beloved owner. She runs “Paws to the Sky,” the oddest pet store on earth as the animals themselves have never been up for sale. What Camelia doesn’t know is that when she’s not there, her precious pets get into strange and hilarious adventures. Here you’ll meet Anteus the wise cat, Narcisa the vain ferret, Hypnotica the sorceress snake, Patchiulo the always-hungry python, and many others. Secret passages, magic, unexpected twists and lots of laughter are the protagonists in this story, all set in the enchanting city of Florence.